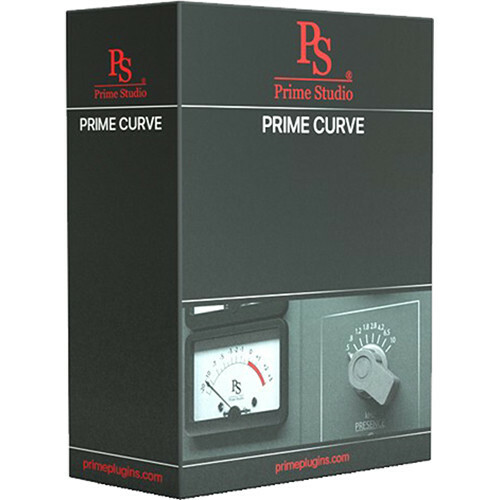 The electronic download of the Curve Plug-In Software from Prime Studio is the main equalizer section of a console channel offering a bass-boost, cut, and presence equalizer with musical frequencies such as 500, 800, 1200, 1800, 2800, 4200, 6500, and 10000 Hz, giving you more flexibility when equalizing audio. It can be used when paired with a Mac or Windows computer and compatible host software to tailor sound for broadcast TV, film, and recording studio applications. In addition, Prime Studio Curve offers additional frequency bands that add soothing harmonics when shaping your preferred sounds.